In the past few years we could hear a lot about the cooperation of various civilian security companies, organisations and official law enforcement agencies, which has its peak at “Partnership for Security” international professional conferences. 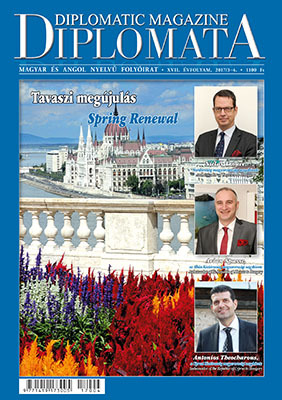 20 years ago the leaders of IBSSA recognised that the system of well-working clubs of the Western world is very much missing from Hungarian social life. They could enable the members of the various organisations to have informal meetings and establish relationships. Upon this recognition common monthly club days were organised by IBSSA and the security organisations, such as the IAPA, the IPA and law enforcement organisations. And later with the closely related knightly orders, such as KMFAP (Federation of Autonomous Priories of the Sovereign Order of Saint John of Jerusalem Knights of Malta), the Sovereign Order of Cyprus , the International Knightly Order of Saint George the Martyr. The success encouraged family picnics, and a few times the organisation of the Ball of Knights and Bodyguards.